One in five Americans has a mental illness and many are reluctant to seek help or might not know where to turn for care. The symptoms of mental illness can be difficult to detect — even when friends and family of someone who appears to be developing a mental illness can tell that something is amiss, they may not know how to intervene or direct the person to proper treatment – which means that all too often, those in need of mental health services do not get them until it is too late. As a society, we largely remain ignorant about the signs and symptoms of mental illnesses, and we ignore our role as responsible community members to help people experiencing these illnesses. 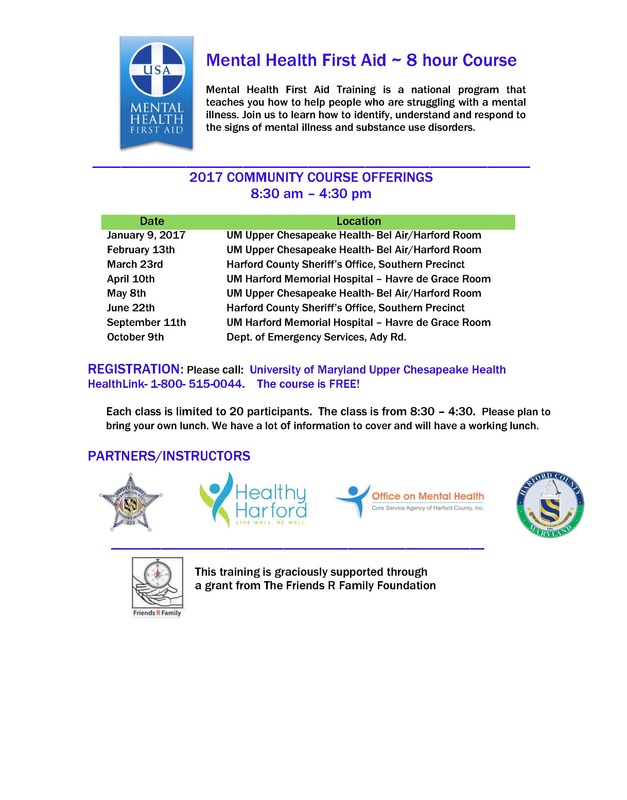 Mental Health First Aid Classes are offered free of charge in Harford County. 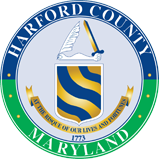 For information on available classes, please visit the Healthy Harford Events calendar or click here for a Schedule for 2017 Classes.